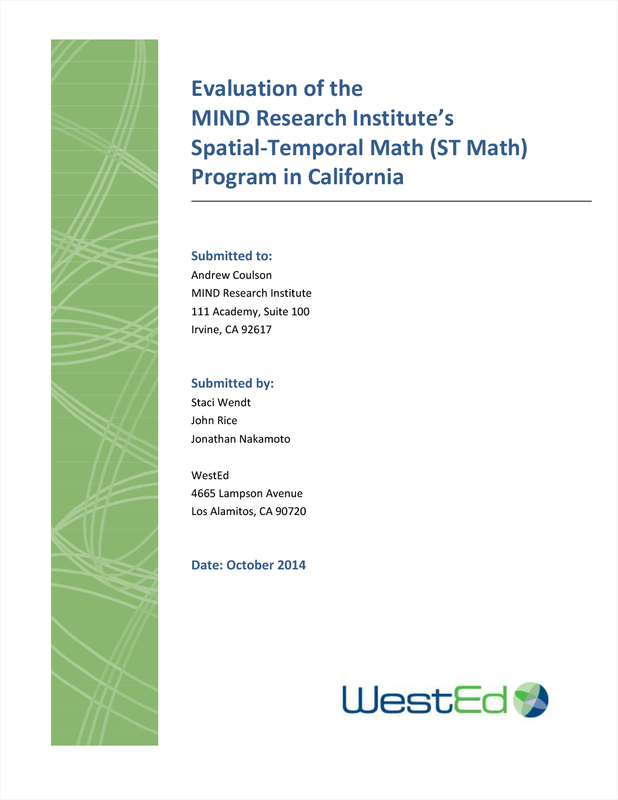 Spatial-Temporal (ST) Math is a game-based instructional software designed to boost K-5 and secondary-level students’ mathematics comprehension and proficiency through visual learning. ST Math is integrated into classroom instruction but can also be used in a computer lab or at home. The ST Math software games follow JiJi, a penguin. Students help JiJi pass obstacles by solving spatial math puzzles. 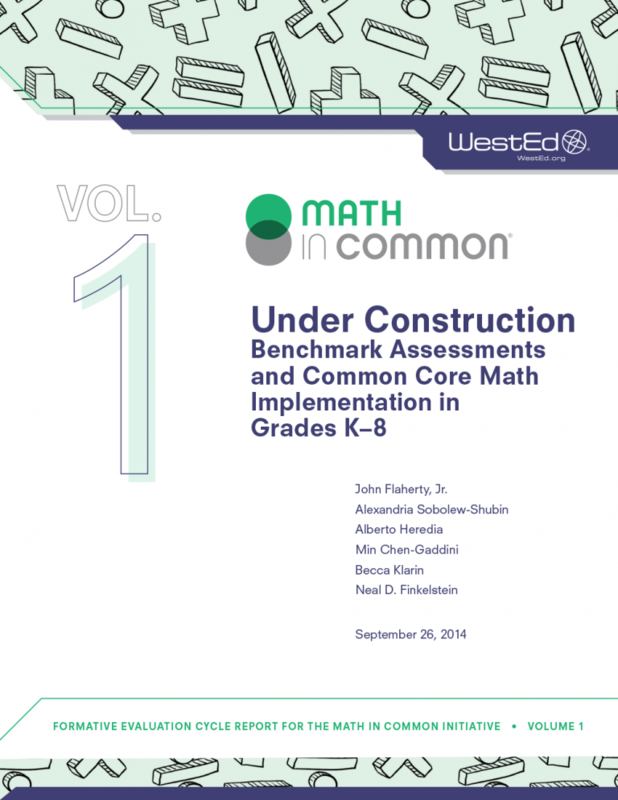 This report, prepared by WestEd’s Staci Wendt, John Rice, and Jonathan Nakamoto, presents the results of an independent evaluation of 209 second through fifth grades using ST Math at 129 California schools. The study found that those grades using the program for one year exhibited 6.3 percent more students scoring proficient or better on the California Standards Test, compared to those at similar schools not using the program. 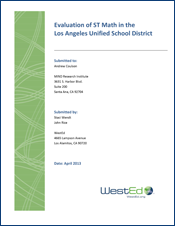 This rigorous analysis reinforces and expands the findings of an earlier WestEd study focusing specifically on ST Math usage in the Los Angeles Unified School District.